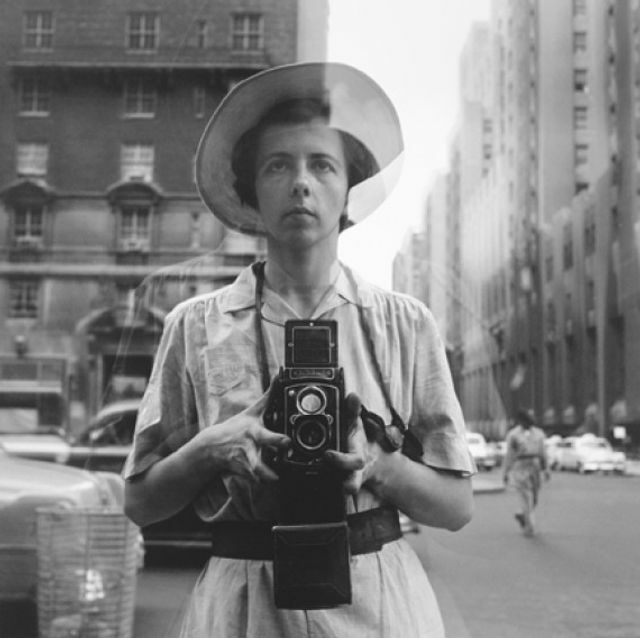 I love Vivian Maier's work, a brilliant photographer who worked as a nanny most of her life. It seems she took her camera everywhere she went, tirelessly documenting the people of Chicago and the world around her. She left thousands of photographs behind, only discovered after her death. Like most of today's youth, she was into taking 'selfies'. Here's one of them. It wasn't until a few years ago -- shortly after Maier had passed away in 2009 -- that her hoard of stunning artwork made its way to the world wide web, courtesy of a lucky thrifter named John Maloof. He'd purchased her works at an abandoned storage unit sale, serendipitously discovering one of the 20th century's most talented and well hidden street photographers.